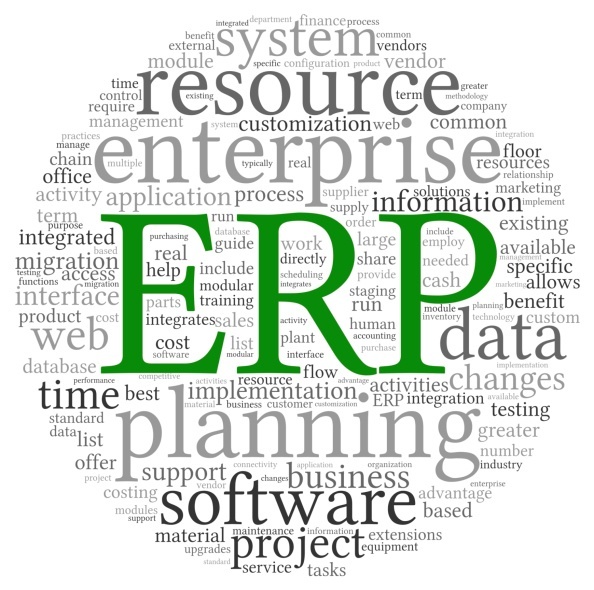 Enterprise Resource Planning, also known as ERP has been around for a while now. It is known that implementing an ERP solution helps to improve efficiency and provide a clear view on productivity and growth. Today we will go over 3 important reasons why every growing business need an ERP solution. When your business is relatively small with fewer than 40-50 employees and a small amount of defined processes, it is easier for managers to organize, control and track everything. However, when your business has grown significantly, a large number of different processes, activities, numerous workflows and procedures will be in place. Out of these various procedures, a number of them might be manual and some of them might be automated. It is not likely that these activities and procedures are well documented. In today's highly competitive business world, this kind of disjointed and unintegrated system can lower your productivity and profitability. This can have an adverse affect on the growth. By implementing an ERP solution, you could help your business streamline a variety of processes, document them and track them on a a regular basis. Also, you could be reducing operating and overhead expenses. The second major advantage of implementing an ERP solution is that, it can help to maintain data in an accurate, consistent way. This is especially important for organizations that have different areas of their business without proper access to data, or data that is inconsistent and sometimes inaccurate. The required information needed by specific business areas can vary and hence the data they provide to stakeholders will also need to vary. This oftentimes leads to confusion and incorrect decisions being made. These problems can impact revenues and profits over a period of time, if not considered seriously. Implementing an ERP solution will ensure that all data is maintained and managed in consistently across all areas of the business. By implementing an ERP solution you will make sure that the routine reporting work of employees at all levels are significantly reduced. Sage 300 ERP for instance, allows for the field staff to enter data while on the go, which helps managers have access to accurate data. It also helps key decision makers of the organization to better understand their workforce – from analyzing individual performance across different business sites to visualizing the overall performance of an entire operational zone. This will help organizations to make strategic decisions as well. In conclusion, ERP solutions can serve as an excellent data tool especially for small to medium sized businesses, for better, more educated decision making and accomplishing required goals. Equation Technologies recommends Sage 300 ERP for every growing business. For more information, or answers to your questions contact Equation Technologies today.